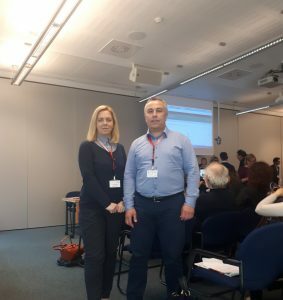 Representatives of CETI, Jelena Resetar and Vladimir Zivkovic participated in 1st EFSA Scientific Network on Chemical Monitoring Data collection meeting, organized by European Food Safety Authority – EFSA in Parma (Italy). 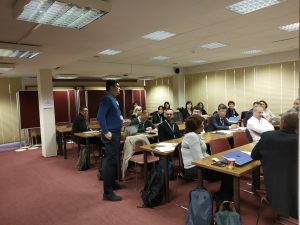 Subject of the meeting was gathering results of food and feed analysis on the presence of pesticide residues, residues of veterinary drugs, contaminants and additives. Meeting was attended by representatives of EU member states, candidate countries for EU membership, EU referent laboratories for analysis of certain groups of substances and Directorate General for Health and Food Safety (DG Sante). Representative of CETI, dr Nikola Svrkota – Head of dosimetric and noise measurement unit, took a part in Coordination meeting on outcomes and findings of the TC regional project RER9140 and its resulting implication for the RER9149, held in Greek Atomic Energy Commission (EEAE) from 28 to 30 January 2019.